We acquired this from an old magician’s estate. 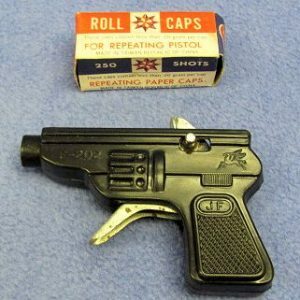 The instructions are missing so the handling is not known. Selling as is. 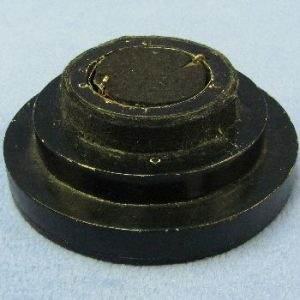 You receive the black vinyl case, the clear air mail folder, the clear box, and the two gimmicked stamps. Effect: Two different postage stamps are shown. 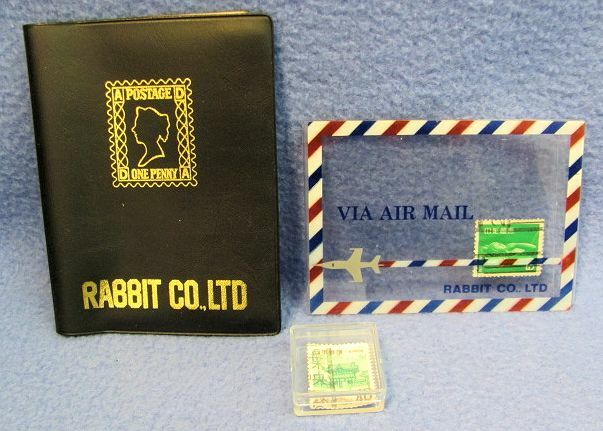 One stamp is inside the clear air mail folder and the other stamp is inside the small plastic box. Magically they both change places with each other! 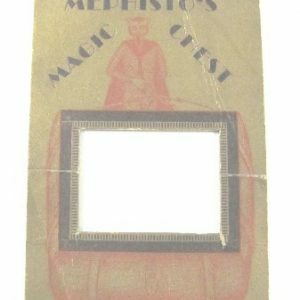 Vintage Mephisto’s Magic Chest Cardboard Header?